Follow-up Story: Students painted their faces like skulls and danced classic folkorico ensembles at Montebello Unified’s Applied Technology Center during the fifth annual Diá de los Muertos Scholarships for Scholars celebration and harvest festival, which raised scholarship funds for graduating students. The event sought to ensure that all local high school students, including those with immigrant status, have access to higher education. The Oct. 14 night featured colorful altars memorializing loved ones, calacas necklace and calavera spoon crafts for children, and dance performances by Montebello Unified students. Follow-up Story: Joining forces with its community partners, Montebello Unified kicked off its eighth annual War on Hunger food drive on Oct. 12 to assist local families in need. Since 2009, the food drive has generated about 50,000 pounds of food to help several thousand students and families. The community may donate through Friday, Nov. 4 at the District Office, 123 S. Montebello Blvd., Montebello. Families will be able to pick up food items at the Heart of Compassion Distribution Center or may contact Program Liaison Rose Hernandez at 323-887-2133. Follow-up Story: Wilcox Elementary School briefly resembled the Staples Center on Sept. 29, as pop singer and anti-bullying advocate Meredith O’Conner came to perform a short four-song concert for more than 200 enthusiastic third- through fifth-graders, many of whom sang along. The concert comes as schools prepare to spread awareness during anti-bullying week, which runs Oct. 3-7. O’Conner took time to speak to the students about how to recognize and combat bullying, answered questions from the audience and, after the show, signed autographs and took selfies with her new fans. California State Superintendent Tom Torkalson will join representatives from Lynwood Unified, Montebello Unified, Los Angeles Unified and Lennox Elementary school districts at 11 a.m. Wednesday, Oct. 5 to highlight local school facilities needs and why Proposition 51 funds are vital. The event will take place at Lynwood Unified’s Washington Elementary, 4225 Sanborn Ave., Lynwood. If passed on the November ballot, Prop 51 would provide state funds to help school districts boost health and safety standards, renovate aging facilities, including seismic retrofits, upgrade classrooms and build new schools. California last passed a state school facilities bond measure in 2006, but that funding is effectively depleted. 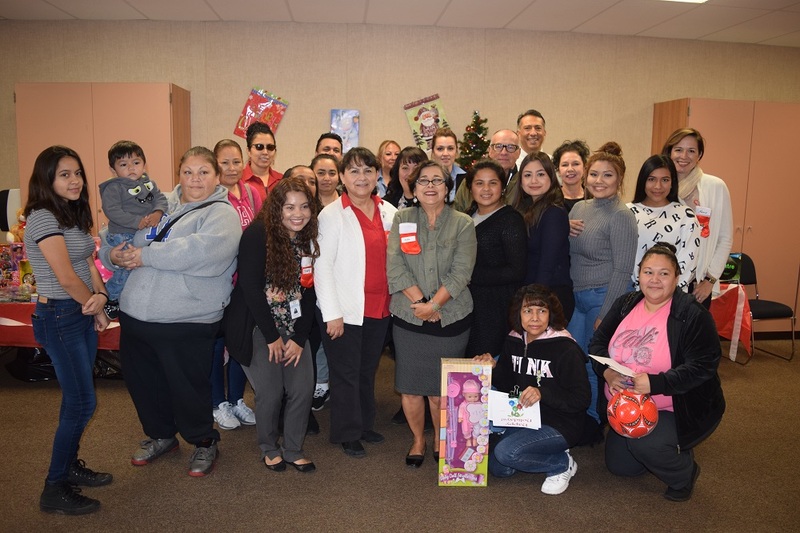 Attendees include Torlakson, superintendents of Lynwood, Montebello and Lennox school districts, LAUSD officials and Jesus Holguin, the past president of the California School Boards Association. For more information, contact Erin Shaw at 916-685-7067. Fresh, natural produce is on the menu as 2,000 student gardeners from 28 Montebello Unified schools gather from 9 a.m. to noon Saturday, Sept. 24 to sell their bounty of fruits and vegetables at Rosewood Park School, 2353 S. Commerce Way, Commerce. The Montebello Unified Farmers Market provides a low-cost alternative to supermarket fruits and vegetables. Students will sell tomatoes, celery, onions, leafy greens, fruits and herbs and school spirit items to support their gardens, while ballet folklorico, Zumba, tap and ballet performers entertain the crowds. Assemblywoman Cristina Garcia will present Bell Gardens High School with a $5,000 check from the Barona Band of Mission Indians during Back to School Night at 5:30 p.m. Thursday, Sept. 22 in the Bell Gardens High School auditorium, 6119 Agra St., Bell Gardens. The grant will fund new technology for the school’s College Center, where students receive guidance from counselors about college applications, prerequisites and more. 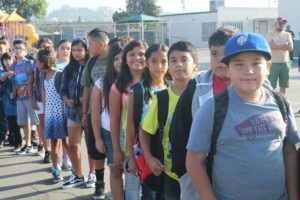 The Montebello Unified School District (MUSD) announces its policy for providing free and reduced-price meals for children served under the National School Lunch Program and School Breakfast Program. A copy of the policy is available for review by any interested party at the Nutrition Services Department office, located at 1518 Mines Avenue, Montebello. 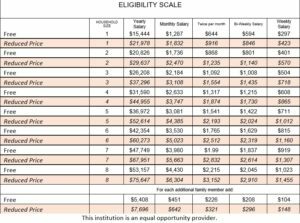 The 2016-17 “Application for Free and Reduced-Price Meals” forms are distributed to households of all enrolled children in MUSD. Additional applications are available at school offices and the Nutrition Services Department office. Filing an online application may be done at www.montebello.k12.ca.us. Montebello Unified School District, the third-largest district in Los Angeles County, welcomed back nearly 53,000 students from kindergarten through adult school on Aug. 18 as Superintendent Susanna Contreras Smith and the Board of Education greeted students at Bella Vista Elementary School. With gardens now at all campuses, MUSD is strengthening its prestigious Globally Responsible Environmental Education Network (GREEN) Pathway to teach students about sustainability in producing crops. New athletic fields have also opened for use at Bell Gardens, Montebello and Schurr high schools. Photos are available. 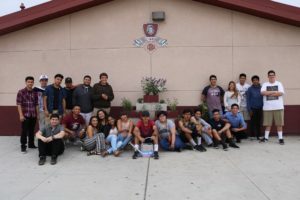 When Bell Gardens High School students return to campus later this month, they will be greeted by a drought-tolerant garden and a video on Latino heritage designed to foster a positive and tolerant outlook among students. 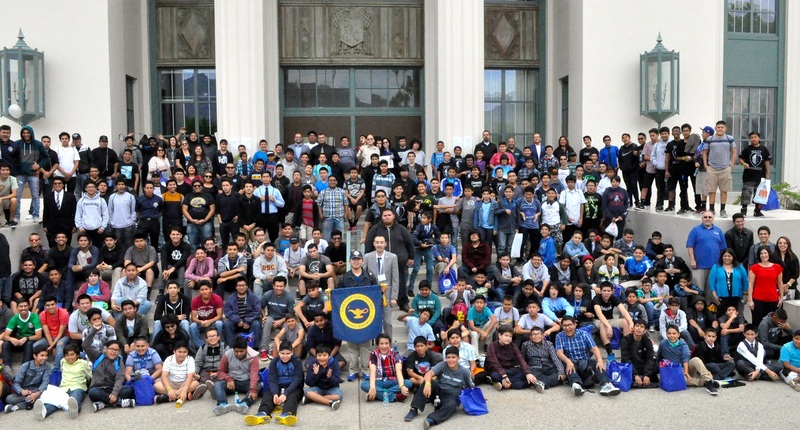 Both projects were created by 40 students who attended the first Rise Up for Humanity youth conference, held for 200 students to raise consciousness on societal issues and build a progressive youth network in Los Angeles County. Photos are available. 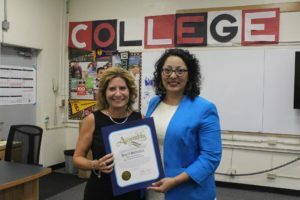 Elizabeth Lowe, a teacher at Montebello Unified’s Bell Gardens High School, has been named one of just five California winners of the Advancement Via Individual Determination (AVID) Teacher Advocacy Award, an honor that comes with a $10,000 prize for expanding the program at her school. 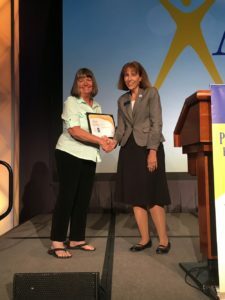 Lowe was honored in front of 3,000 educators on July 12 at the Sacramento Summer Institute, where winners were celebrated for showing leadership in supporting AVID’s mission to help students prepare for college. 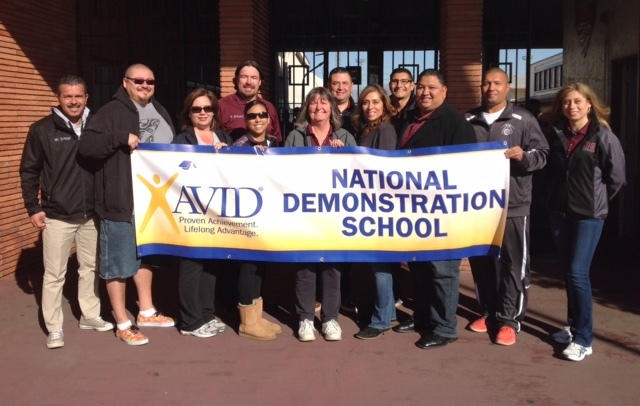 Lowe oversees 650 students, seven teachers and all course sections for Bell Gardens’ AVID program. Photos are available.